In a way, it is almost more important to have structure in the garden during winter as this time of year does not have the luxury of the growth, textures and foliage that the perennial plants bring to the summer garden or the vibrant colour bulbs bring to spring. This is not necessarily a disadvantage, it merely means that we have a different range of plant forms to create our winter garden. The shape of branches and stems are accentuated by the lack of foliage and the sometimes greyer surrounding background of the winter garden. Similarly, textures of the bark of trees and shrubs take on a leading, rather than a support role. The latter therefore brings small trees such as Acer griseum (the Paper Bark Maple), Acer davidii (Snake Skin Maple) and Prunus serrula with its polished mahogany style bark to the fore in a winter garden design. 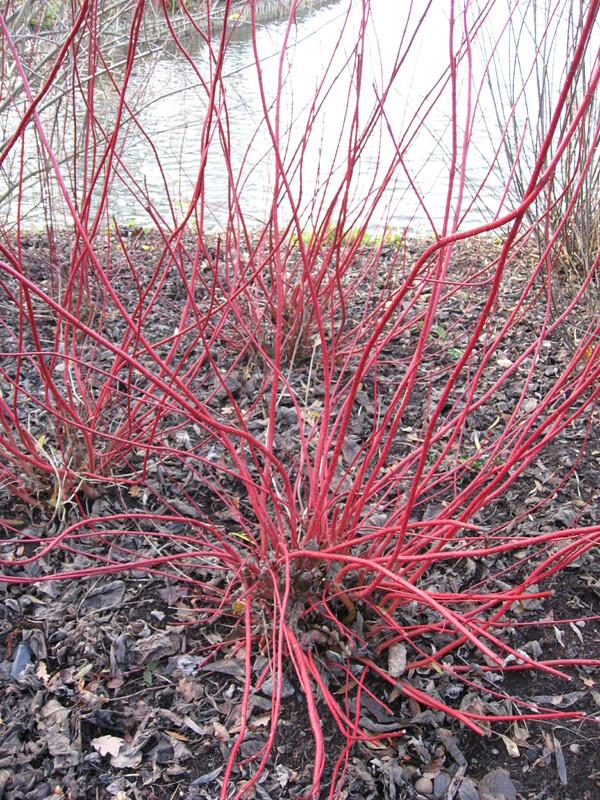 Colourful barks such as the pure white Betula jaqumontii and vibrant scarlet stems of Cornus alba ‘Siberica’ are also extremely useful in the quest to add interest to the winter garden. In fact a wide range of Cornus provide great structure and colour to the garden at this time of year. Everything from deep purple through scarlets and oranges to acid yellow. The darker of these, are quite amazing against snow. Just because it is winter does not mean you cannot have colourful flowers in the garden. They may not come from the perennials as in the summer, but the shrubs, a range of plants that have until recently fallen out of fashion, come into their own. The double advantage of a lot of these is that they bring more than colour to the winter garden. There are many shrubs that also provide us with wonderful scent for the sunny winter’s day. I am not sure if there is a reason for this, but a lot of winter flowering plants have yellow flowers. The glorious Mahonias start the show off with their explosions of yellow fragrant flowers. Cornus mas a plant that is fairly unnoticeable throughout the year, but comes into its own during the winter with its honeysweet yellow blossoms. The king of the yellow winter flowering plants has to be the Hamamelis. 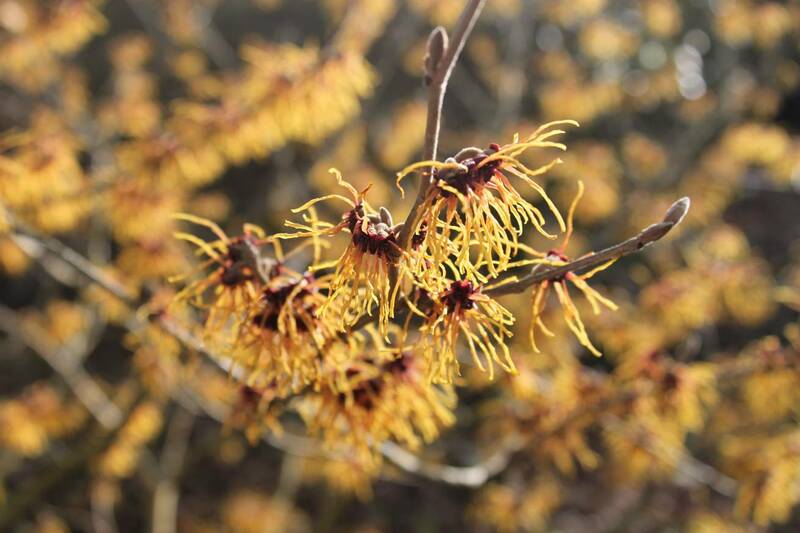 The witch hazels are quite simple magnificent. Not only looking uniquely good but also have a heavenly spicy sweet scent. We shouldn’t forget Sarcacocca and Daphnes as well. Not all colour comes from flowers. We also enjoy berries which not only brings colour but attracts birds also. So pyracantha and ilex (holly) of course are good for bunches of yellow and red berries. It is a mistake for the more disciplined of us gardeners to cut back perennials and grasses immediately after flowering. Structural summer flowering plants leave a wonderful legacy in the garden that we can enjoy throughout the more austere winter months. Foeniculum vulgare – the spreading stems of the old flowers are a little like the frame of an umberella. These quickly get decorated with spider’s webs which, in turn, are bejewelled with hoar frost creating a magical morning vista. Phlomus russelliana – The unique inverted chandeliers so enjoyable in the summer become dramatic and reminiscent of something Miss Haversham would have. Because they hold their structure so well, they produce wonderful silhouettes against a icy grey sky of winter. Papaver somniferum – From their flamboyant, blousy summer garb, these poppies shed this, leaving us with a beautiful architectural seed head throughout the winter. Miscanthus sinensis – The beautiful drooping plumes of this most excellent grass should never be cut back at the onset of winter. They maintain their silvery shine enjoyed in late summer and autumn and pick up the low winter light superbly. 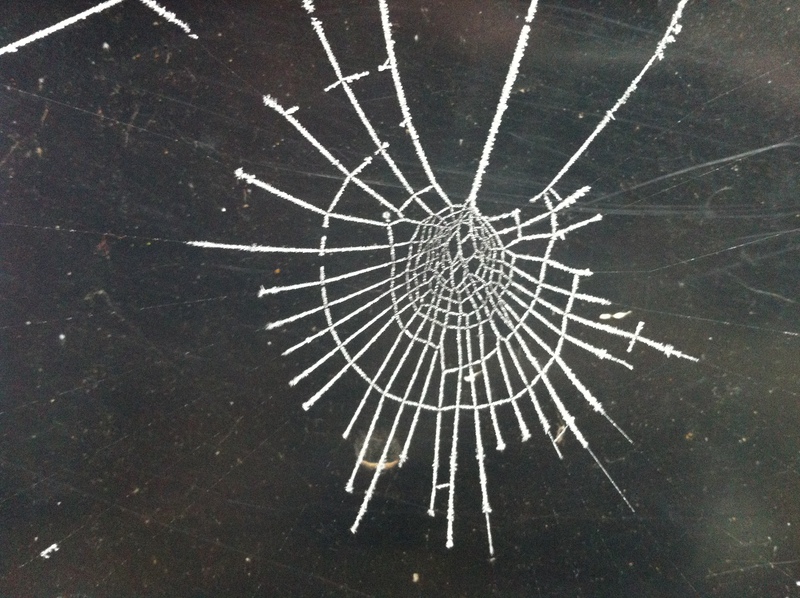 As with the Foeniculum, spiders spin webs through and between the plumes to add more wonder, as if they need it! Other structural plants such as Cynara cardunculus (Cardoon); Euphorbia and Echinops are fantastic, reminding us of our summer days now some time ago. So, a few bits of simple advice ensures your winter garden is just as interesting as it is throughout the rest of the year.